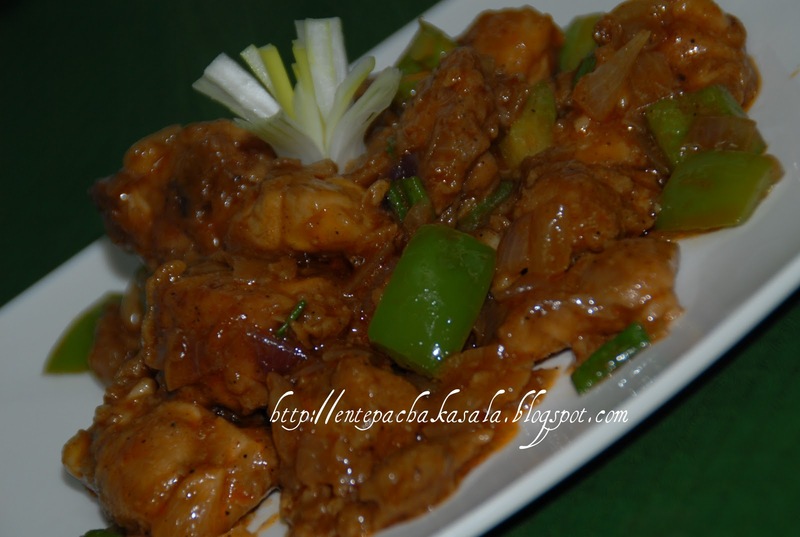 Clean and cut the chicken into medium pieces. Combine all the ingredients for the marinade and apply this paste on the chicken, keep aside for 1-2 hrs. Heat oil in a pan, fry capsicum till soft. Fry chicken untill golden color and keep aside. In the same pan, add ginger and garlic, fry for 2-3 minutes. Add onion, green chilli and salt, fry till the raw smell goes. Add pepper powder, paprika powder and sugar saute well. Add tomato sauce, soya sauce, hot sauce. Mix well then add the chicken pieces, Pour the chicken broth. Cover and cook for 5 minutes or until the gravy turns thick. Add capsicum. Remove from fire and transfer to a serving plate. Add the spring onion. Serve hot with fried rice or roti. Looks tempting and delicious! Great photos too.. It's always a pleasure to follow you and your posts. 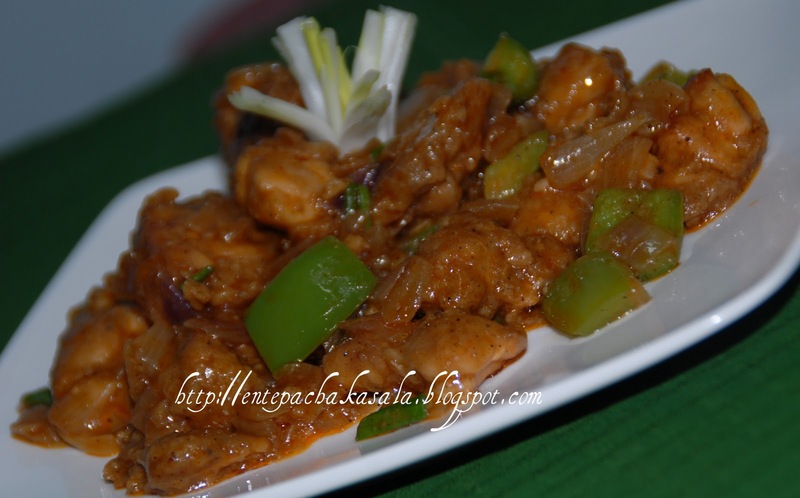 The Chili Chicken looks deliciously inviting. 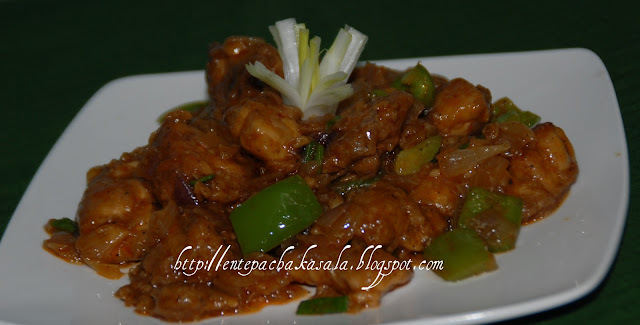 Superb spicy and flavorful chilly chicken. WOW!! This is my favorite..Kandittu vayil vellom varunu..Great pics, Jaisy..
Wow looks mouthwatering....looks superb spicy and very colorful...nice click too. Looks great.Looks better than the ones you get in Restaurants. Looks and sounds awesome, pictures are very tempting. Jaisy, I have an award to share with you and your lovely blog.Please accept. sounds and smells good. . . . . Perfect!!! That is the best description suits for this post!! !